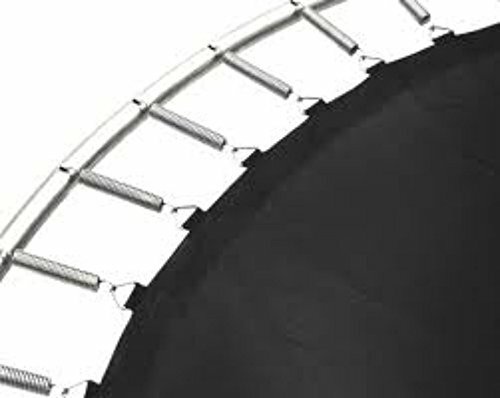 Fits 14' round frame with 96 v-rings for 8.5" springs, see below for details on measurement. Step 1 - Confirm Frame Size (Measure from outside bar to outside bar is 14ft). Step 2 - Confirm Spring Size 8.5 inches (Remove one spring and measure from hook to hook). Step 3 - Confirm Spring Count, 96 (Springs are SOLD separately). ONE YEAR WARRANTY. Made of U.S.A. Permatron Fabric for the ultimate rebounding surface! If you have any questions about this product by Trampoline Depot USA, contact us by completing and submitting the form below. If you are looking for a specif part number, please include it with your message.